Beautiful 4 bed, 3 bath cedar home with in Echo Hills. Drive home on one of America's scenic by-ways! 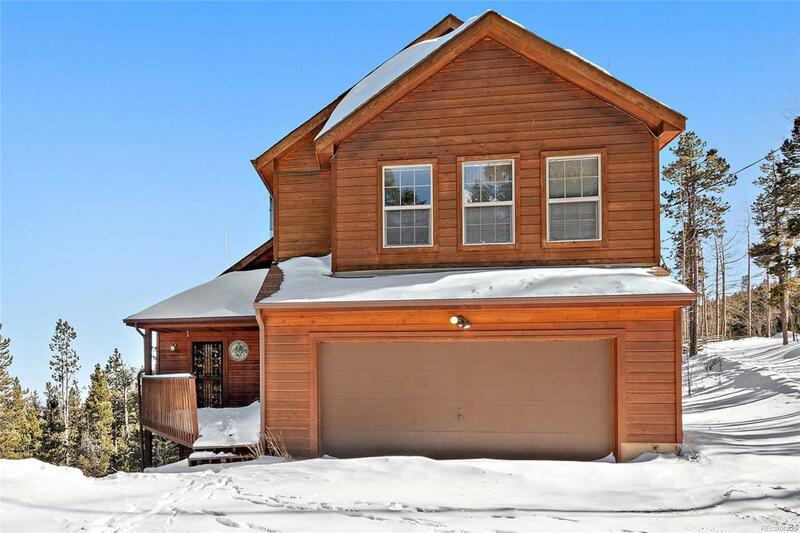 Youll love the cathedral ceilings with sky lights, wood burning stove, gas fireplace, picture window, views of Denver and forest in the living room. Open layout includes a formal dining area with sliding glass doors to deck overlooking the yard and aspen grove. The kitchen has hardwood floors, a Jenn-air gas range and a breakfast bar. The master suite has cathedral ceilings, skylights and picture windows with views. The finished basement is a walk-out with a dog door to a high fenced and partially covered dog run. Wood insulated double hung windows throughout home. Newer septic system and water heater. New wall to wall carpeting and paint throughout house. Re-finished redwood decks and exterior cedar siding. Drive a few miles to Echo Mountain, a ski and snowboard area located in Clear Creek County, just west of home.